The PGXD24/BETA58 Handheld Wireless System is part of the Handheld wireless systems family. 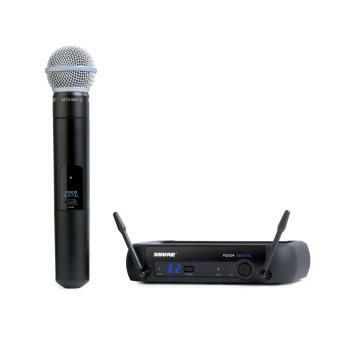 PGX Digital Wireless, with state-of-the-art, 24-bit digital audio and trusted Shure microphones, delivers stunning sound and a strong, clean RF signal. The BETA58A microphone cartridge is used.